Thank you to everyone that helped us through the Co-Op Local Community Scheme, we are delighted to have received £8881.02; which is completely amazing. We are already planning our string, brass and piano workshop days and this will be very well spent. You can help us fulfil our charitable aims in 2018 – we are part of the Co-op local community fund scheme. Every time members shop at the Co-op, 1% of what they spend on selected own-brand products and services goes to the Co-op Local Community Fund. As a member, you can decide which of the local good causes to support. We’d love it to be us. 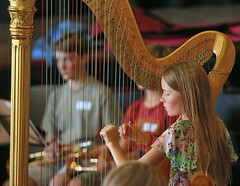 We will, once again, be running our extremely popular Summer Music School any contributions to assist us with these wonderful educational and fun music days will be received with gratitude. To join or to make Poole Society of Young Musicians your chosen project please see the co-op website. Membership costs just £1.